"Solvar has being selling its bespoke line of Irish and Celtic themed Jewellery as far back as when the Wynn’s owed and ran the hotel. This must date back to early 1960’s. In the late 60’s and early 70’s a couple by the name of Prichard’s then took over the running of the Glendalough Cottage Gift Shop. Back in those days the shop only opened in time for St. Patrick’s day and closed for the winter by the end of September. Then, nearly all our United States visitors travelled by either self-drive car or where chauffeur driven and when visiting Dublin a trip to Glendalough and the shop was a must do trip, as it is today. 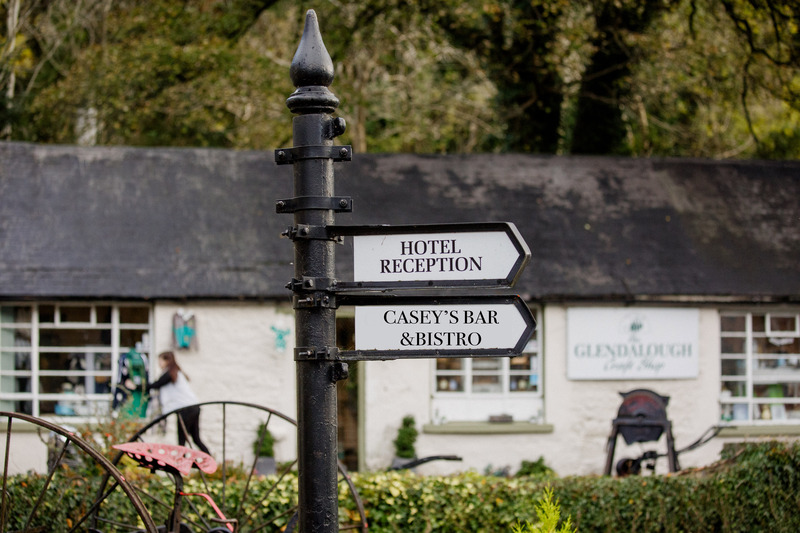 Solvar has been a key supplier to Casey’s Glendalough Cottage Gift Shop for over 50 more years, delighted to say both companies have stood the test of time." Hand crafted Irish silk scarves with colours and styles that are classic yet contempoaray. Patrick Francis Cashmere products are made from the highest quality wool. Couple Eilis Gough and Joe her husband established Mileeven back in 1988, it all began with two beehives in the back of their garden. Eilis is still involved in the company alongside her daughter Sarah. Since being established they have brought to Ireland some unusual yet beautiful tasting honeys including: Honey with ginger, walnuts, mango, sour cherries, blueberries and cinnamon.